The Polar Music Prize 2014 is awarded to Peter Sellars from Pittsburgh, USA. The director Peter Sellars is a living definition of what the Polar Music Prize is all about: highlighting the music and presenting it in a new context. With his controversial productions of opera and theatre, Peter Sellars has depicted everything from war and famine to religion and globalisation. Sellars has set Mozart in the luxury of Trump Tower and in the drug trade of Spanish Harlem, turned Nixon’s visit to China into opera and set Kafka’s obsession with home cleanliness to music. Peter Sellars shows us that classical music is not about dusty sheet music and metronomic precision, but that classical music, with its violent power and complexity, has fundamentally always been and will continue to be a way of reflecting and depicting the world. Peter Sellars was born in Pittsburgh, Pennsylvania, in 1957. He attended the prestigious Phillips Academy and then moved on to Harvard. There he started experimenting with theatrical interpretation and innovative performances of the classics. He made a string puppet show out of Wagner’s Ring cycle and he brought college theater to a new level with the floating experience of Shakespeare’s Antony and Cleopatra in the pool of Adams House, one of the twelve undergraduate houses at Harvard. ”…Some of the very best, most original theater I have ever seen at Harvard,” signature Primus V says in the Harvard Magazine, 2012. Peter Sellars graduated from Harvard in 1980. Since his very first theatrical works there he is well-known for his unique contemporary stagings of classical operas and plays. Whether it is Mozart, Händel, Shakespeare or Sophocles, Peter Sellars uses the staging for illuminating contemporary social and political issues within the classic framework. Sellars has staged a series of Mozart operas in very innovative environments; Così fan tutte was re-set in a diner on Cape Cod, The Marriage of Figaro in a luxury apartment in New York City’s Trump Tower, and Don Giovanni in New York City’s Spanish Harlem, the cast costumed as a blaxploitation movie. Händel’s Orlando got a new setting in outer space, and King Lear got a new shape in a motion picture directed by Jean-Luc Godard in 1987. Sellars’ projects have also included a critically acclaimed concert staging of Johann Sebastian Bach’s Saint Matthew Passion with the Berlin Philharmonic Orchestra conducted by Sir Simon Rattle and performed in Salzburg and Berlin. In 1984, at the age of 27, he was appointed manager of The American National Theatre in Washington D.C, a post he held for two years. There, he continued to mix modern and classics, staging a production of The Count of Monte Cristo and Idiot’s Delight by Robert Sherwood and Sophocles’ Ajax, as adapted by Robert Auletta. Beside the modern versions of the classics, Peter Sellars has established a reputation for bringing 20th-century and contemporary operas to the stage, including works by Olivier Messiaen, Paul Hindemith, and Polar Music Prize Laureate György Ligeti. Le Grand Macabre was revised by Sellars for the Salzburg Festival in 1997, where he chose to follow the theory of the apocalypse by placing the story within the context of the Chernobyl disaster. Sellars has also worked with fellow Polar Music Prize Laureate, Kaija Saariaho; L’amour de loin was originally staged by Peter Sellars for its first production. Multi-talented composer and writer John Adams is Peter Sellars’ long time collaborator since the Harvard years. Together they have created several new works including Nixon in China, The Death of Klinghoffer, El Niño, Doctor Atomic, A Flowering Tree and The Gospel According to the Other Mary. 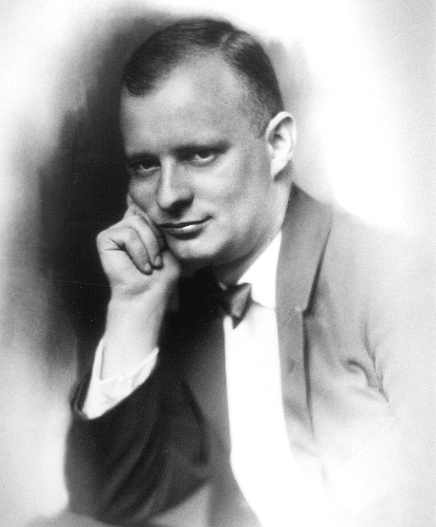 Johan Adams, born in New England (USA), started composing at age 10 and studied at Harvard where he met Peter Sellars. He became composer-in-residence at the San Francisco Symphony in 1982, where he created and premiered several successful – and controversial – works, for example the ”New and Unusual Music”-series. Adams is also a film composer and a teacher both at Berkeley and Juilliard. In parallell, Adams writes book reviews for the New York Times and has written for both The New Yorker and The London Times besides his own blog, Hellmouth, and has published his memoirs Hallelujah Junction. "Those Birds Flying Above Us," from the opera The Death of Klinghoffer by John Adams and Alice Goodman, performed by Olle Persson at the prize ceremony 2014, accompanied by The Royal Stockholm Philharmonic Orchestra, conducted by Hans Ek. In the middle of the 80s, John Adams and Peter Sellars began a collaboration with poet Alice Goodman who wrote the libretto for two groundbreaking operas: Nixon in China (1987) and The Death of Klinghoffer (1991), two of the most performed operas at the end of the 20th century. Nixon in China was inspired by President Nixon’s official visit to China in 1972, one major event during the Cold War period. The Death of Klinghoffer told the controversial story of the 1985 hijacking of the Italian cruise ship Achille Lauro by Palestinian terrorists and their eventual murdering of one of the passengers, Leon Klinghoffer, based on an initial idea of Peter Sellars. The first performance took place at the Théatre Royal de la Monnaie, Brussels in Belgium in 1991. The Chandos portrait of Shakespeare, source: Wikimedia Commons/National Portrait Gallery. A cultural argument between Peter Sellars and Nobel Prize winner Toni Morrison ended up in a creative pact in the beginning of the 00s. As a response to Sellars staging of a four-hour futuristic Othello 2009, Toni Morrison and musician Rokia Traoré composed text and music for the musical and theatrical performance, Desdemona, directed by Sellars in 2011 and premiering at the Théâtre Nanterre-Amandiers in the Parisian suburbs. The performance, that re-tells the story from the Shakespearean heroine’s point of view, was performed in several major cities in Europe and the U.S. and presented in London as part of the Cultural Olympiad. Promotion film for Desdemona at the Lincoln Centre in 2011. Sellars has led several major arts festivals, including the 1990 and 1993 Los Angeles Festivals, the 2002 Adelaide Arts Festival in Australia, and the 2003 Venice Biennale International Festival of Theater in Italy. In 2006 he was Artistic Director of New Crowned Hope, a month-long festival in Vienna for which he invited international artists within music, theater, dance, film and the visual arts to perform and create new works. Polar Music Prize Laureates Kaija Saariaho and Kronos Quartet were present among others. As another example of his multitalent and great international network, Peter Sellars has also curated exhibitions with artists around the world. In 2009, he took Ethiopian artist Elias Simé to the Santa Monica Museum of Art in California, also initiating the making of a film showing Simé’s work to create art with children in Addis Abeba. Sellars is also Resident Curator of the Telluride Film Festival in Colorado, USA. Sellars is the recipient of a MacArthur Fellowship, the Erasmus Prize, the Sundance Institute Risk-Takers Award, and the Gish Prize, and is a member of the American Academy of Arts and Sciences. He has been honored by the American Academy in Rome and Opera News Magazine. Sellars is a professor at the Department of World Arts and Cultures at the UCLA, where he teaches Art as Social Action and Art as Moral Action. ...and Sellars responds, honouring The Kronos Quartet. On August 25, the annual Polar Music Talks took place at the Rigoletto Theatre in the centre of Stockholm. The event, in conjunction with the Polar Music Prize Ceremony, has evolved into an international think tank with its base in the creative industries. The concept is based on verbal ”jam sessions” where inspiring lectures mix with trend spotting, panel discussions and debates. This year’s discussions included such varied themes as women’s role in music history, lightning design and trend spotting. On August 26, Peter Sellars and Chuck Berry received the Polar Music Prize from the hands of his Majesty the King of Sweden, at the ceremony in the magnificent Stockholm Concert Hall. Peter Sellars overwhelmed the audience with his speech about the importance of music for culture and freedom. Efva Attling, the designer of this year’s prize also read the citation for Peter Sellars. Your Majesties, your Royal Highnesses, Excellencies and amazing swedish people! Hello! "With Darkness Deep," by Georg Friedrich Händel and Thomas Morell. Performed by Elin Rombo accompanied by The Royal Stockholm Philharmonic Orchestra conducted by Hans Ek. Gunnar Idenstam on harmonium and Johan Hedin on key harp.